Last night I upgraded a customer's 2012 MacBook Pro with a Samsung 850 SSD drive. An upgrade I've done a million times. I also replaced the hard drive cable with a brand new one (from ifixit!). Everything went fine with one catch. While the computer shows it is capable of 6 Gigabit SATA speed, it's showing it's only connected to the SDD at 3 Gigabit speeds. On drives this fast, that speed difference is extremely noticeable. I have no idea why it would be using this slower link speed. Any ideas? What are you using to measure the speed, which bay is the drive in? It is in the hard drive bay, replacing the hard drive. Check the second photo in the original question to see the link speed as reported by the computer. For comparison, my personal 2012 macbook pro with SSD in the HD bay reported 6 gigabit link speed with 6 gigabit negotiated speed. Lets check the systems firmware. If you have an older OS reference this Apple T/N: About EFI and SMC firmware updates for Intel-based Mac computers. Keep in mind the EFI version is what controls the PCH SATA ports. 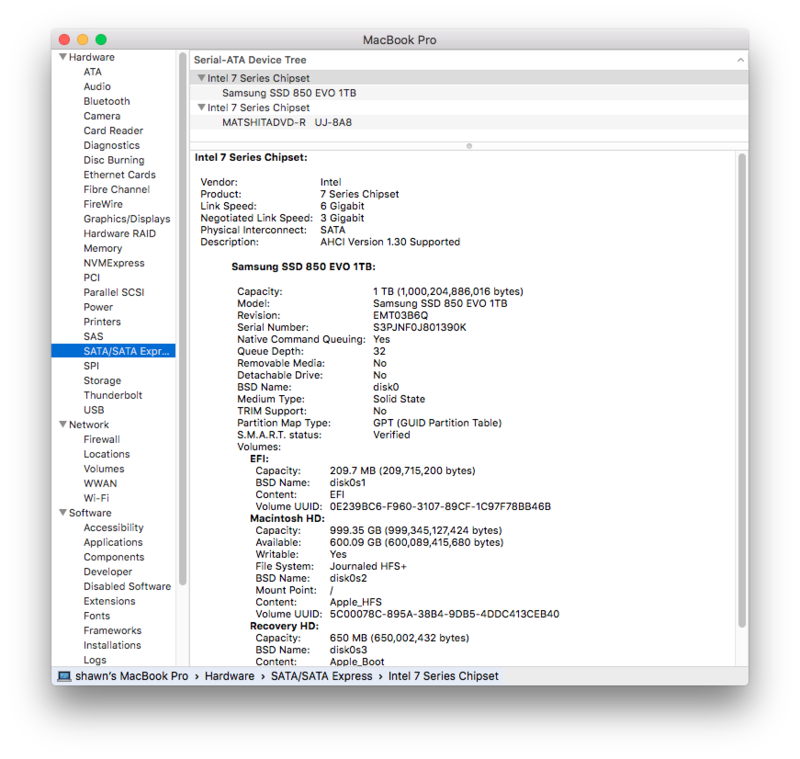 The first versions of the MacBook Pro's Apple throttled the SATA port as the HD's they were using at the time where only SATA II (3.0 Gb/s). Unless someone messed up the firmware this shouldn't be your issue. The newer versions of MacOS are automatically upgrading the firmware so your versions should be newer than the ones listed here. I would also recommend replacing the HD SATA cable as older versions just wouldn't run SATA III and even many others had issues of wear. 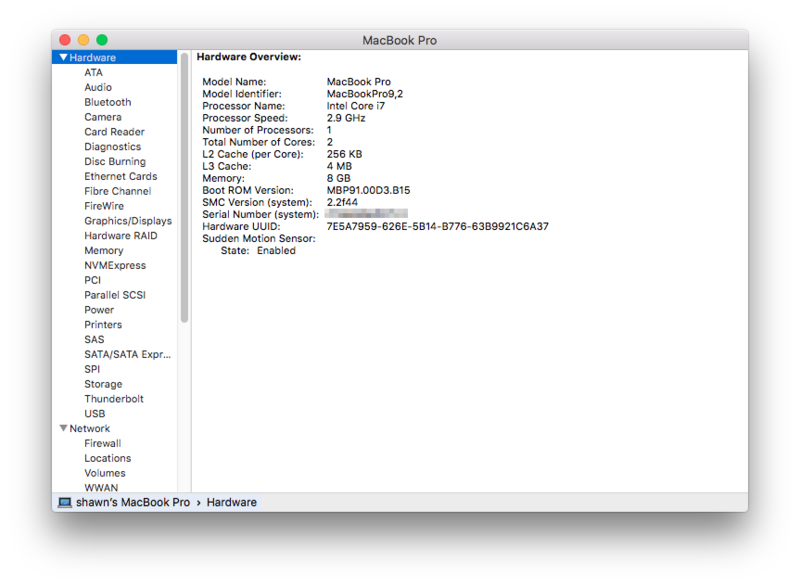 Follow this IFIXIT guide: MacBook Pro 13" Unibody Mid 2012 Hard Drive Cable Replacement. And use this part: MacBook Pro 13" Unibody (Mid 2012) Hard Drive Cable - Apple P/N 923-0104. John M wird auf ewig dankbar sein.